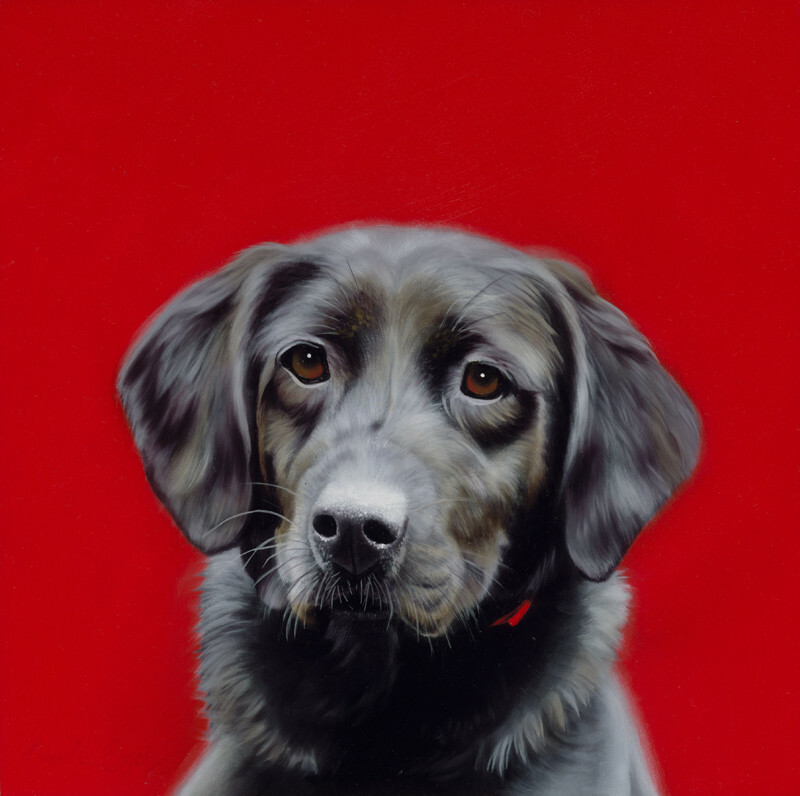 A contemporary realism dog painting depicting a beautiful black labrador retriever from the American Lab Rescue. We love his friendly eyes. This was Camille's first dog painting.